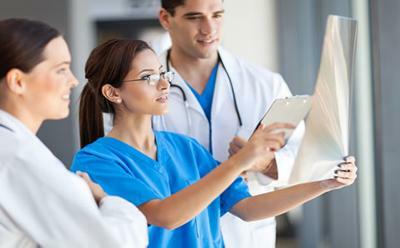 Research from the University of Southampton has shown that fewer patients die after emergency surgery in hospitals that have more doctors and nurses. Published in the British Journal of Anaesthesia the study analysed data involving nearly 295,000 patients. It indicates a direct link between the numbers of doctors, nurses and senior clinicians working in a hospital and the patient’s chances of survival. Critically, the researchers found that the significant variations in mortality rates that exist between acute NHS Trusts appeared to be related to the way complications were identified and managed during and after emergency surgery. Additionally they found that the likelihood of death was 11 per cent higher where the patients was admitted to hospital at the weekend while the likelihood of death was seven per cent higher in trusts with the lowest numbers of nurses per bed. The study analysed nearly 300,000 cases of emergency general surgery at 156 NHS Trusts over a five year period. Focusing on mortality rates 30 days after admission, 14 NHS Trusts were identified as having significantly higher than expected death rates, while nine NHS Trusts had lower than expected death rates. Researchers found that those Trusts with lower than expected mortality rates for emergency general surgical patients had significantly greater provision per bed of nurses, consultant surgeons, surgical junior doctors, critical care beds, and operating theatres than those with higher than expected mortality rates. Crucially, the research found that in the Trusts performing better than expected, the patients had a greater number of pre-existing medical conditions, and were 27 per cent more likely to suffer complications during treatment. However, these Trusts had the highest staffing levels of surgical consultants, junior surgical doctors and nurses. Despite sicker patients and higher recorded complication rates, these Trusts had 60 per cent fewer deaths at 30 days than Trusts performing less well than expected.